Due to age or illness many of us find ourselves faced with placing our loved ones in a Nursing Home. It can be a difficult decision to select a Nursing Home to trust with your loved one. Instances of Nursing Home Neglect or Abuse can make this decision seem incredibly daunting. Furthermore, finding out a loved one has experienced nursing home abuse is even more difficult. You want to be certain when you put a loved one into a nursing home that they will be appropriately cared for. Unfortunately, the reality is that there are many cases of nursing home neglect and abuse. Even though South Carolina law requires those employed at a nursing home such as their administrative personnel, medical staff, and nursing staff, report instances of abuse in nursing homes, there are many cases that go unreported. If you suspect that a loved one is being subjected to any form of Nursing Home Neglect or Abuse in Columbia, please do not hesitate to contact an experienced Columbia Nursing Home Abuse or Neglect Attorney. It is always better to act sooner than later if you suspect there is any form of physical or verbal Nursing Home Abuse occurring. The victims of Nursing Home Abuse or Neglect are often unable or not in a position to report this abuse to their loved ones or to others employed by the nursing home. 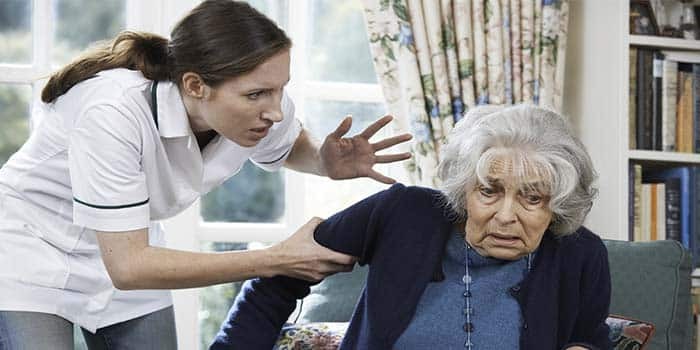 Nursing Home Neglect or Abuse can come in many forms including physical abuse, emotional abuse, and sexual abuse. Some of the injuries that can result from Nursing Home Neglect or Abuse could have long lasting effects or can even cause the death of a loved one. In most Nursing Home Neglect or Abuse cases, an investigation is required. An experienced Nursing Home Abuse or Neglect Lawyer can help navigate these complex waters and ensure that the victim’s rights are represented. It is crucial that Nursing Home Neglect or Abuse be reported so that the offending Nursing Homes can be held accountable for their actions. If you or a loved one believed you may have experienced Nursing Home Abuse or Neglect do not hesitate to contact the Green Law Firm. The Elderly deserve to be treated with dignity and to be comfortable. If you suspect you or a loved one has been a victim of Nursing Home Neglect or Abuse, get an experienced attorney on your side. The sooner you contact a South Carolina Nursing Home Neglect or Abuse Lawyer the sooner the situation can be rectified.